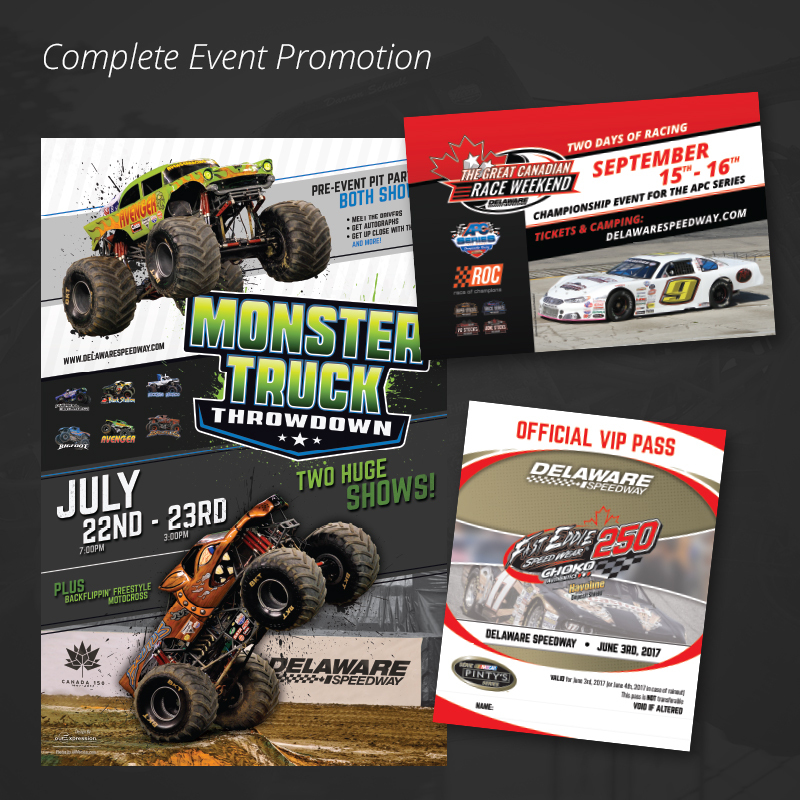 ourExpression has been a partner with Delaware Speedway since 2015 and we continue to develop an ever growing digital presence for the historic half-mile race track located just outside of London, Ontario. 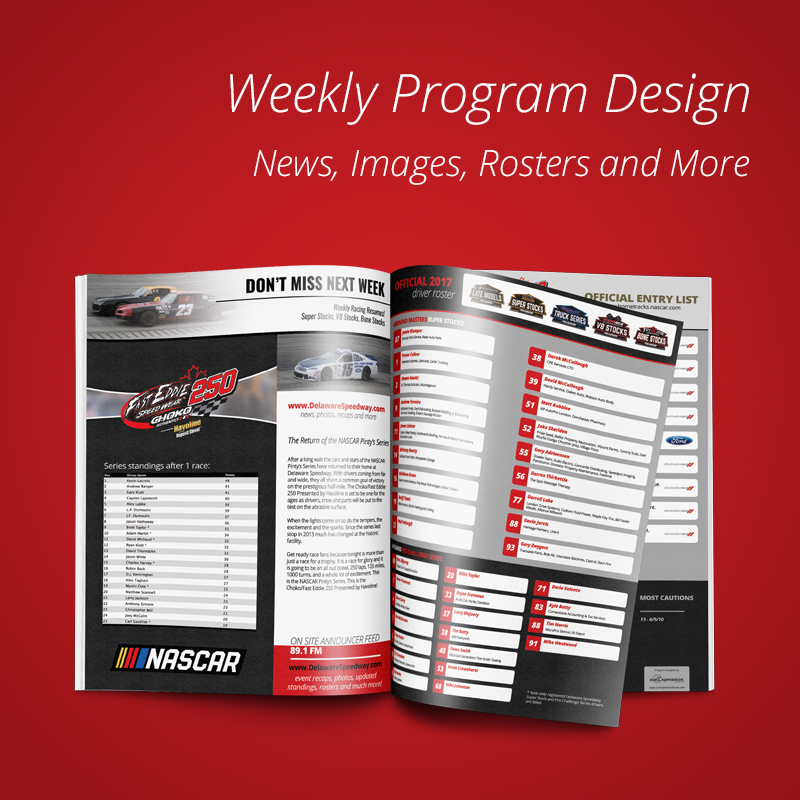 To bring Delaware Speedway into the modern digital age with up to date content, advertisements, graphic art, and video content. A major hurdle was to accomplish all of this with such a broad demographic reaching children, teenagers and elderly people. 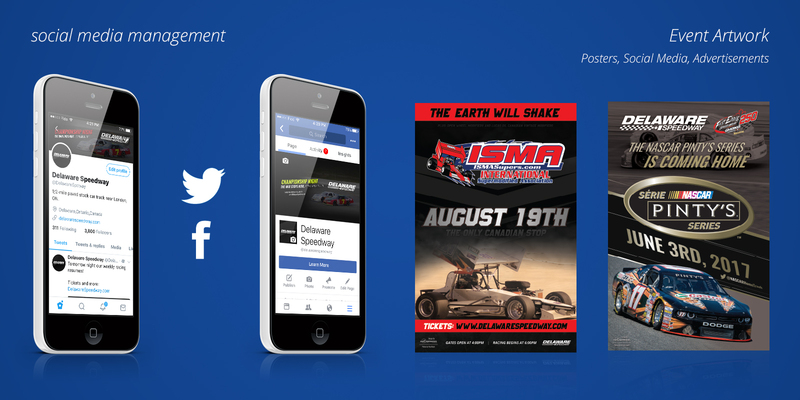 Our team created an identity for Delaware Speedway that ensured a unified experience across all platforms including Facebook, Twitter and the track website. Up to date content and a steady stream of online content helps along with various methods of print production and video content.